Types of Trendy Wallpapers: How to Choose Them? Home is where the heart is. The home designed with eye-catching wall decor and trendy wallpaper can impress any person who comes to visit. Wallpaper beautifies the walls of the home and it is one such thing which can go well in any type of weather. 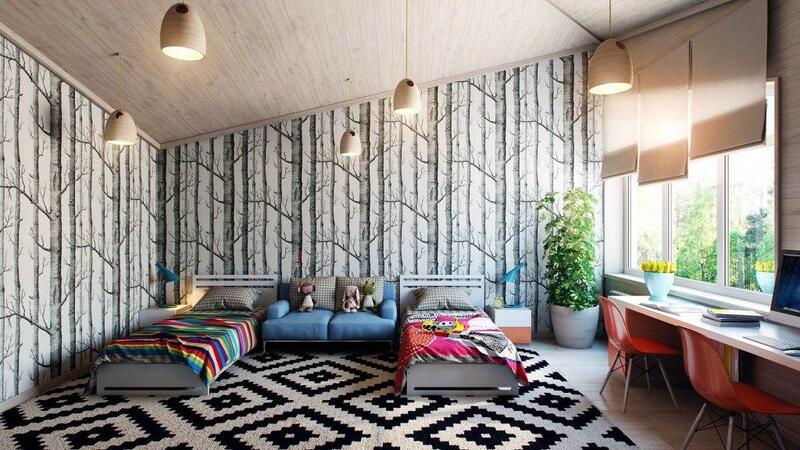 You might love some funky wallpaper designs in the office, bedroom, living room and study room or wherever you want. 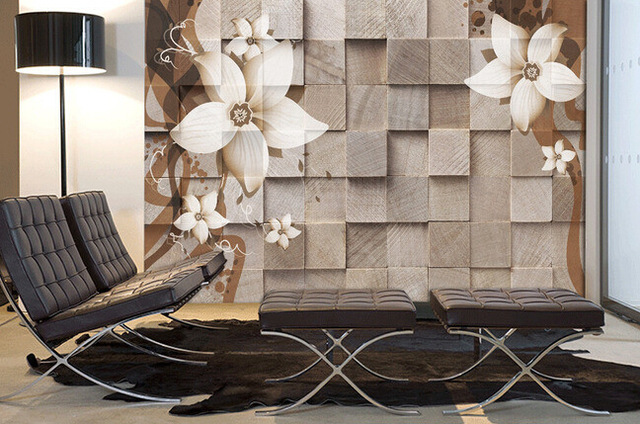 You can enhance the look of your rooms with the help of beautiful and latest wallpapers trends. There are some of the best trendy wallpaper designs which you can choose for your bedrooms, bathrooms, drawing rooms and study rooms. The floral theme has always been one of the most popular choices in case of curtains, bed sheets and finally in wallpaper designs. You can choose some really elegant floral designs for your bedroom with beautiful colors such as fluorescent, blue, yellow, green, and others. The floral wallpaper designs come in various shapes and colors and you can match them with your room paint, cushions and curtains. The interior design of the home is the most important thing that matters. If you want a touch of ancient times, you can go for retro style designs. Many people prefer retro style wallpaper designs for their study rooms and bedrooms for creating a pleasant look all around. The vintage designs can be in various shapes and sizes with elegant colors. If you are an art lover, you will surely love the artwork on the walls of your rooms. Artwork theme is one of the trendy wallpaper models which people choose these days. This theme has no particular shape and you can use the colors of the water to give any shape or artwork on the wall which you like. You can draw some nature themes or any random pictures which click on your mind. What is better than a picture of an amazing landscape on the walls of your bedroom and dining room? The wall decor can be made all the more beautiful with the help of contemporary landscape wallpaper designs ideas. Now, there are various designs of landscapes available in the wallpaper. 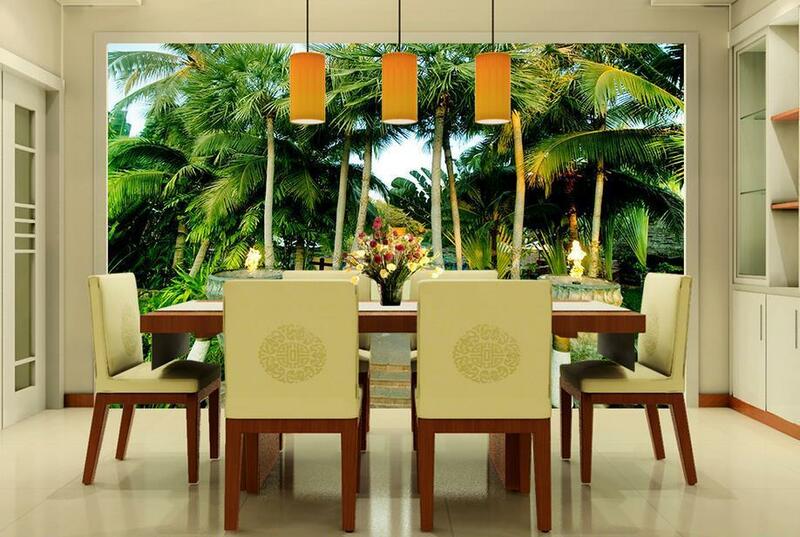 If you are choosing wallpaper for your dining room, you can go for the theme of the countryside or a garden. While selecting custom wallpaper design for your bedroom, the wallpaper of a romantic place will be advisable. The colors in the landscape should be brown, green or grey. When are you planning an interior design for your bedroom, why the kids’ room should be left? The animal print is one of the most famous wallpaper designs which people choose for their little champs. 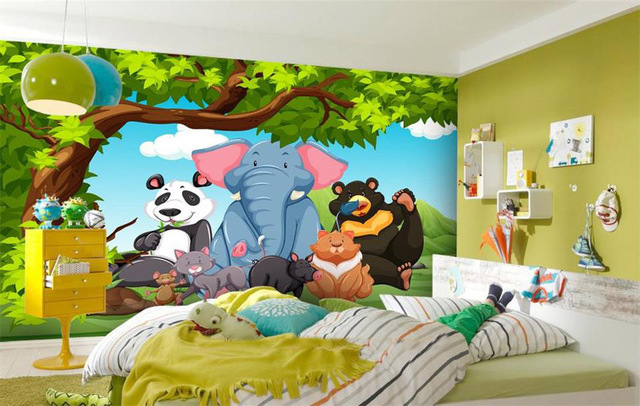 Kids love animals and you can choose the modern wallpapers having the designs of fishes, zebras, teddy bears, cheetah, butterflies, and lovebirds. The most amazing wallpaper designs are black and white patterns. 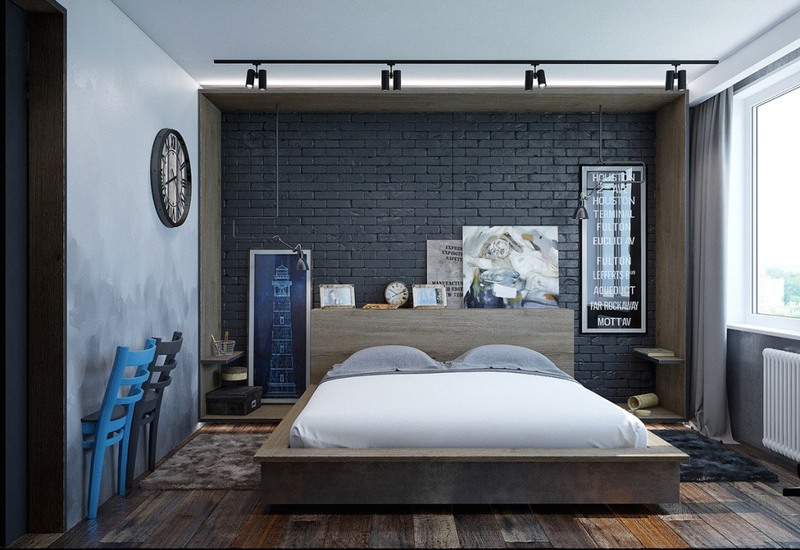 You can choose black and white colors for a study room, drawing room or bedroom. 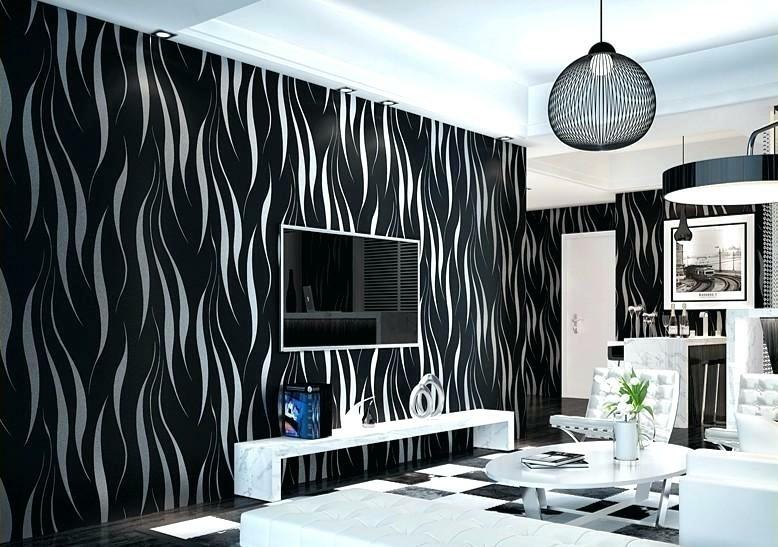 You can combine any black and white designs with different patterns, styles, and shapes which match on the walls of your rooms. Black and white colors look fantastic in the house and you can easily get the matching furniture, cushions, curtains and bed sheets. 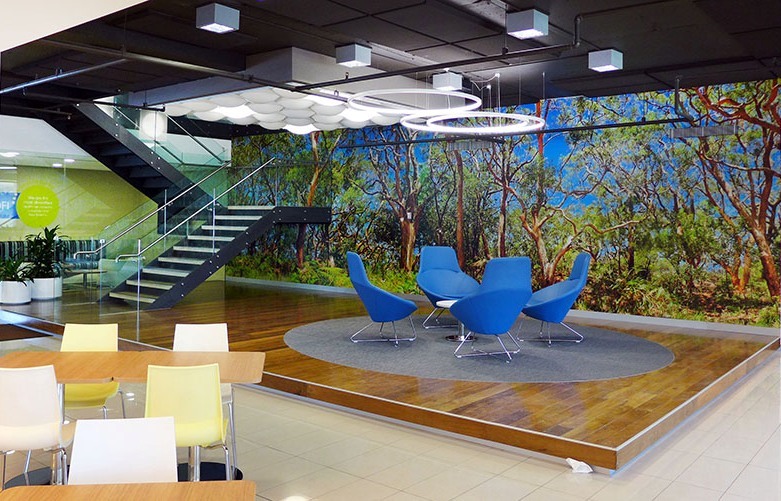 This is one of the latest wallpaper models which people generally choose for their offices. 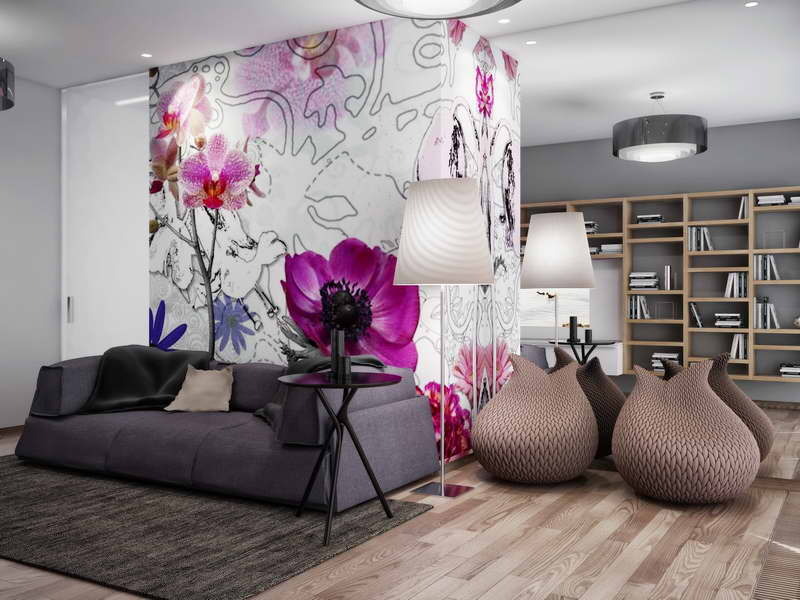 However, many people have now begun to apply wallpaper designs of strips even in their study rooms and drawing rooms. 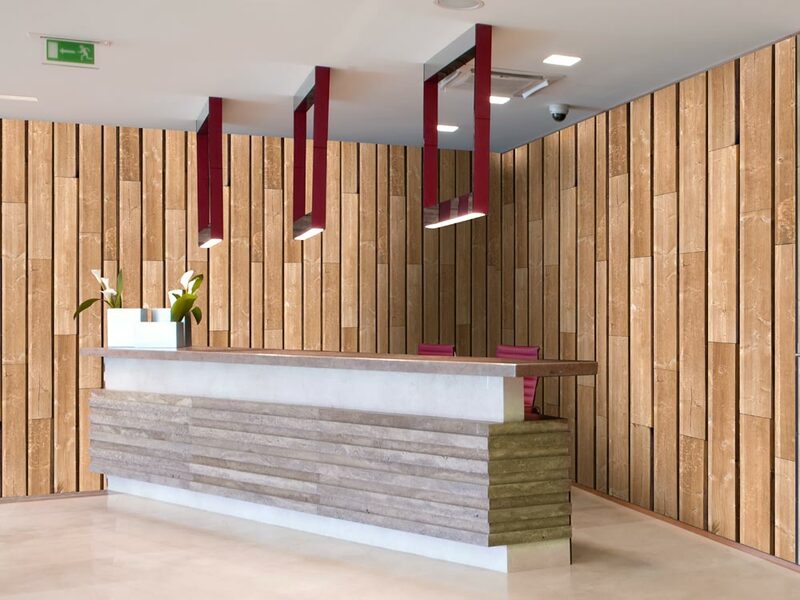 The stripes look professional as well as stylish and provide a decent look to the offices and homes. Now again, there are innumerable strip designs which you can select for your drawing rooms such as thick stripes, thin strips or ultra-thin strips. The colors are mostly light while choosing a strip design. These are the all-time popular wallpaper designs which people choose all over all over the globe for their wall décor. The wallpapers are durable in nature and you do not have to change often due to damage in any kind of weather. The wallpapers add to the beauty of the homes and look trendy too. So now, you have got the latest wallpaper trends 2018 which will help if you are planning for the amazing interior designs. How to Choose Right Wallpaper for Home? Renovating your home every season cannot be practically possible for each one of us. Purchasing furniture, adding small knick-knacks or a complete whitewash of the house might costly. Well, how about changing the wallpapers of the rooms.